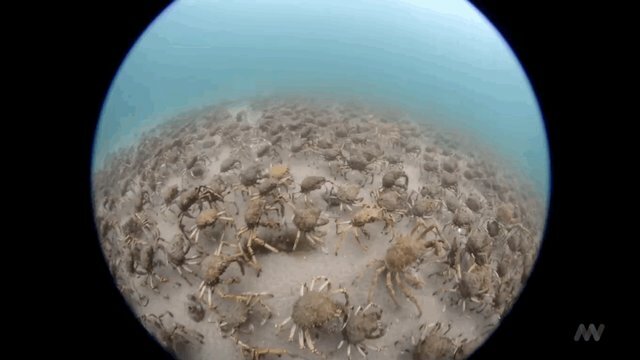 Each summer, hundreds of thousands of giant spider crabs migrate to Port Phillip Bay in Victoria, Australia. 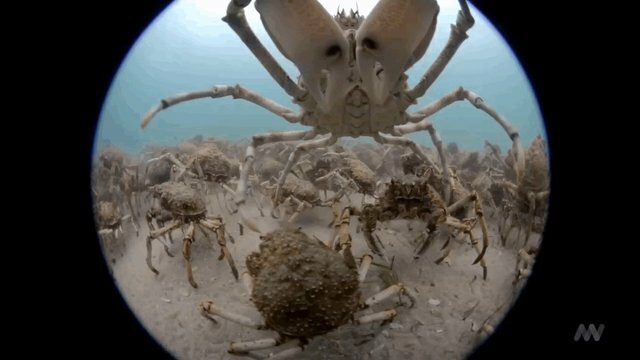 Dr. Julian Finn has been shooting the crabs and other marine life for Underwater Backyard, a new immersive, dome-shaped video exhibit at Museum Victoria. 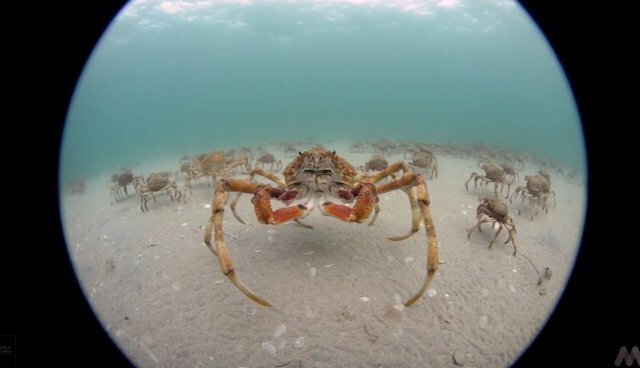 The crabs usually live deep in the ocean - but they walk up into the shallow water to molt. 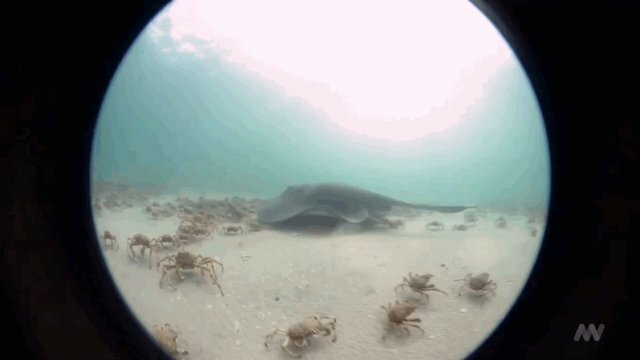 The crabs are extremely vulnerable while their new shells harden, and as Finn explains, the group migration provides safety in numbers. According to Museum Victoria, "The process of moulting takes up to an hour and all the crabs in an aggregation moult almost simultaneously." 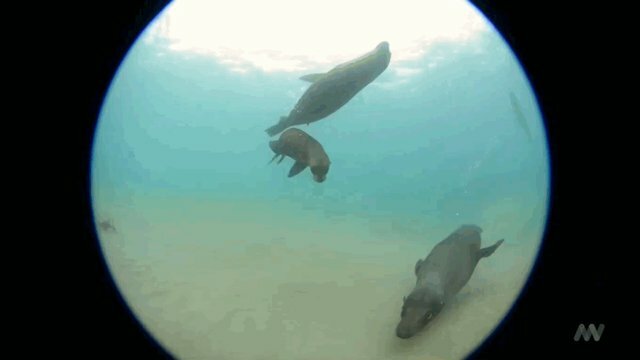 His footage gives a whole new meaning to "fisheye lens." He's also been shooting all sorts of other marine life, like these harbor seals. 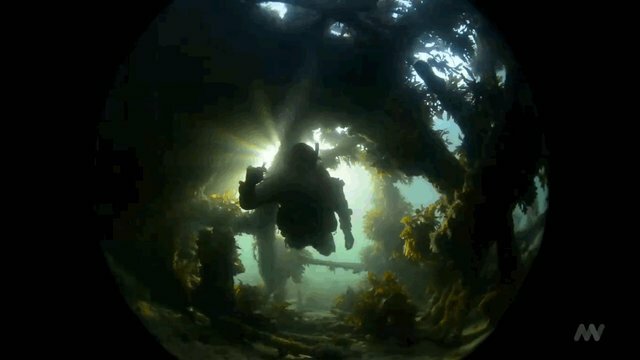 You can see more footage here, which is set to some pretty fantastic underwater alien music.